The Corona’s ergonomic curves contour your body for a relaxing outdoor experience. 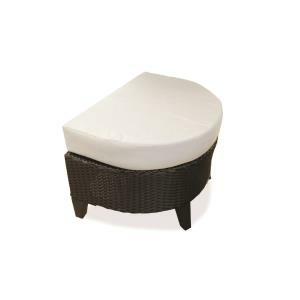 Its footprint makes if a versatile option for smaller spaces while providing a surprisingly comfortable sit. Every piece in the collection is light weight. The Corona Wicker Ottoman would be a stunning addition to the Loveseat or the Armchair. Stock wicker color is Espresso. Dimensions: W25” D18” H16” SH16” 9lbs. CNA101 Corona Armchair W29” D28” H29” SH16” AH26” 16lbs. CNA102 Corona Loveseat W48” D28” H29” SH16” AH26” 20lbs. 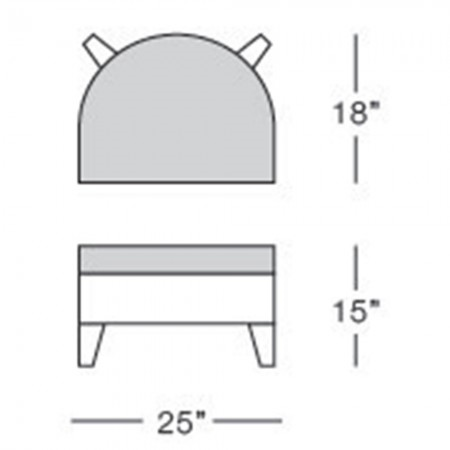 CNA104 Corona Ottoman W25” D18” H16” SH16” 9lbs. CNA501 Corona Side Table W14” D22” H16” 11lbs. CNA502 Corona Coffee Table W42” D22” H16” 18lbs.